What are your favorite meals to cook? I love experimenting with new recipes, and this Ragu Hawaiian Upside Down Deep Dish Pizza Recipe is perfect for a quick, satisfying for the entire family. 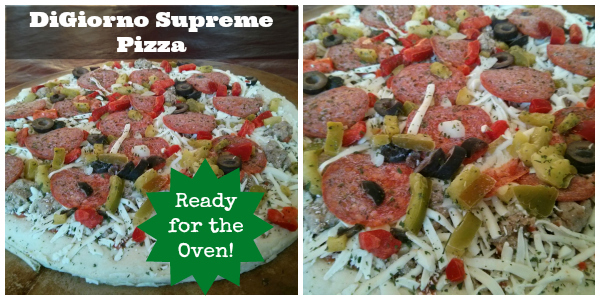 It was easy to prepare, tasted great and everyone loved it! My friends at Ragú asked me to put a unique twist on a recipe from Ragu.com. There were so many amazing recipes to choose from, but I was drawn to the recipe for the Upside Down Deep Dish Pizza. When I think of pizza, "Hawaiian" is one of our family favorites. So, I decided to add diced ham and pineapple to this recipe and it was even better than I imagined it to be. As a mom who is always trying to get my family to eat more veggies, it's great to know that each jar of Ragú Old World Style Traditional Sauce is made with 11 juicy tomatoes making it Ragú's thickest, richest sauce. 1 lb. very lean Ground Beef (I used the kind that was 96% fat free) You could substitute Ground Turkey too. Preheat oven to 375°. Brown ground beef in large nonstick skillet and drain any excess fat. Stir in Pasta Sauce and bring to a boil; turn into 2-quart deep dish pie plate or baking dish. Top with pineapple tidbots and diced ham, then cheese. Place pizza dough over dish, sealing edges tightly. Bake 20 minutes or until crust is golden. Let stand 10 minutes. To make it even simpler, the ground beef mixture can be even be cooked ahead of time and refrigerated in the baking dish until assembly time. Just heat it in the microwave until hot before topping and baking. Perfect for those busy nights when we're coming home from a sports practice around dinner time! If you're family likes ham and pineapple pizza, I think they'll really like this recipe. It was hot, rich and very satisfying! Plus, it was so easy to make, that it didn't leave me with a mess in the kitchen - which I love too! Visit Facebook.com/RaguSauce for more quick, easy and delicious recipe ideas. I am a member of the Collective Bias® Social Fabric® Community #cbias. This shop has been compensated as part of a social shopper amplification for Collective Bias and its advertiser. Is it just me, or do you feel like you're always grocery shopping for your family? No matter how much I stock up on pantry basics, I am always at the store to get a few more things. It's a good thing that I enjoy grocery shopping (sans kids, of course) and I get so excited when I find really good deals like this pizza deal at Walmart. 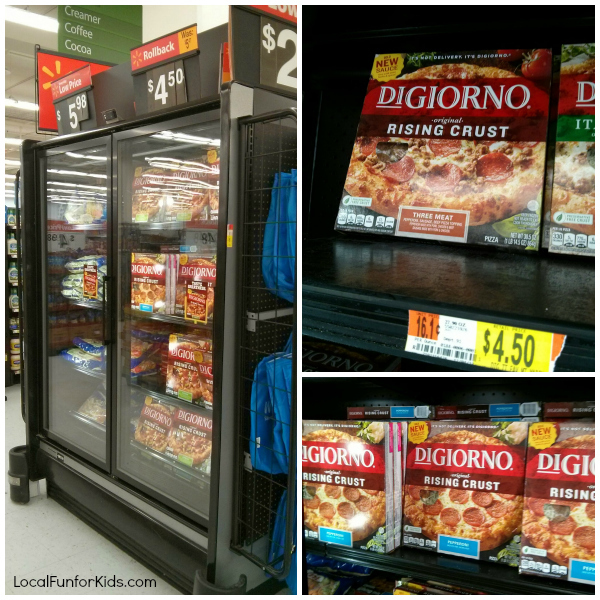 Walmart has just rolled back the price on DiGiorno pizza for just $4.50 each! 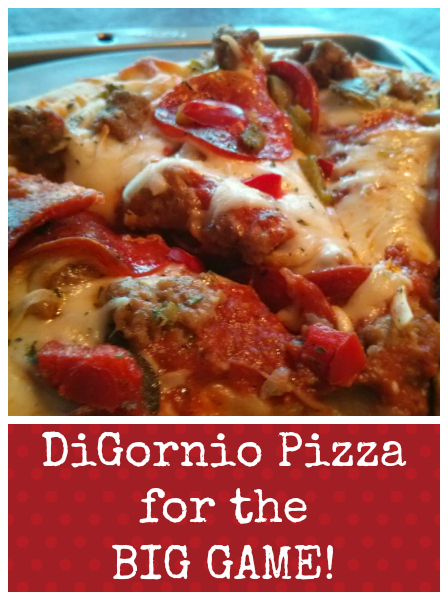 If you buy frozen pizza, you know that that is a great price, and it's perfect timing to pair Digiorno with one of your favorite sports that are on t.v. right now! In the summer, we grill a lot and we're always out-and-about. Now that the weather is bitter cold, we're definitely staying home more. 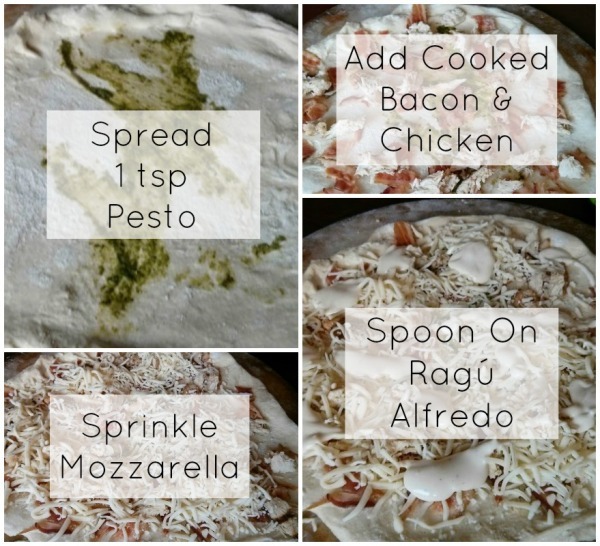 I like having a few pizzas in the freezer because they are super quick to make, and I know everyone in my family will be satisfied. Just this week, we got over 12 inches of snow, and it was so nice to be able to pop a pizza in the oven for a hot and tasty dinner while we watched soccer on t.v. Knowing that I can just take the pizza out of my freezer and it will be ready in less than 25 minutes, is a great feeling. I'm usually cooking meals from scratch, but everyone needs a break every now and then. I didn't need to go out in freezing 10 degree weather to pick anything up, work in the kitchen preparing food for an hour, or wash lots of pots and pans after dinner. Sometimes, simple is better. So, while much of the America is buzzing about a big "football" game right now, we've been watching a different kind of football - a.k.a. soccer. 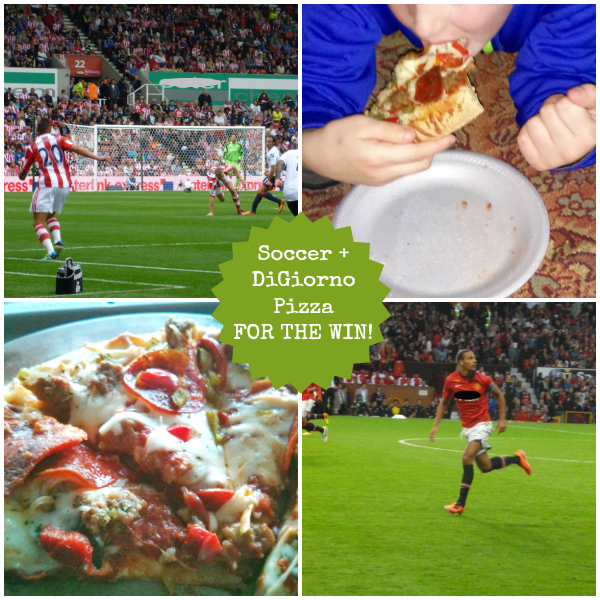 As we were watching a soccer game last night, I popped a DiGiorno Rising Crust Supreme into the oven. My husband and kids were anxiously awaiting the buzzer on my oven to go off, and when the pizza came out of the oven, we quickly demolished it. It was convenient. It was affordable. Everyone in my house was happy! Did I make you hungry? Hurry and go get some Digiorno Pizza's while they're still on sale at WalMart! The new year is here, and I know I'm not the only mom who is on a mission to lose a few pounds. So, in an effort to eat healthier, I've been making sure my kitchen is very well stocked with lots of fresh fruit and vegetables. Not only am I eating healthier, but I'm getting my family on board too. I'm pretty creative in the kitchen and I'm constantly thinking of easy ways to get myself and my family to eat more fruits and veggies throughout the day. 1) Frozen onions, peppers and spinach might not sound very appealing, but they are some of the easiest veggies to sneak into food. My kids absolutely love veggie and cheese omelets or breakfast burritos packed with spinach, onion, bell peppers and mushrooms. 2) I always have a variety of canned beans in the pantry. It's so easy to make your own Bean Salad by mixing up some canned beans and light Italian salad dressing. When my son was two years old this was one of his favorites. 4) Dip, Dip, Dip! It's such an easy way to get kids eating raw veggies. I always make my kids their own little plate of veggies and dip in the late afternoon or before dinner if they're asking for a snack. Their favorite dip is ranch, but sometimes I make my own yogurt dip as a healthier alternative. Homemade fruit smoothies, spinach dip with whole wheat pitas, and green salads with Ranch dressing are also really popular with kids too. I'm also looking forward to planting more cherry tomatoes this spring, because the kids will eat them straight from the garden. If you still need more ideas, check out my fun food board on Pinterest or Weelicious.com for more healthy kid-friendly recipes. What types of veggies do your kids like to eat?